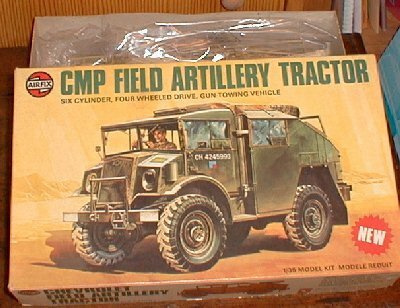 Another member of the Canadian Military Pattern range of support vehicles, the Chevrolet Field Gun Tractor saw widespread service with the British and Commonwealth forces in the Second World War. Used for towing artillery, this tractor accommodated both the gun crew as well as equipment. This highly detailed kit provides the modeler with a complete interior, a chassis and three sets of wartime markings.